Almost daily, scientific breakthroughs announcing new ways to pack on lean mass, shred fat, and improve nutrition based on specific goals pop up. As the industry comes under the fire of stricter regulations, the demand for more natural, botanical-based compounds that also provide compelling results has become overwhelming. And thus was birthed the newest innovation to the fitness industry in years: Natural Metabolics. Natural Metabolics arose as new scientific discoveries from the rainforests were used to fuse eastern and western health methodologies, creating the next generation in supplementation. Natural Metabolics are generally comprised of naturally occurring, plant-based compounds like ashwagandha and fenugreek. They are also designed to aid in the regulation or stimulation of a certain gland or metabolic process, hence the name. What really makes Natural Metabolics a step up from the last generation is their fusion of both ancient and current technology, yielding lower risk of side effects than their synthetic predecessors while still delivering on results. Natural Metabolics can help to support and optimize the endocrine system, promoting fat loss, lean mass gain, and healthy metabolism. Because of their natural composition, they can potentially be stacked with other products for enhanced benefits, like Anafuse for muscle gain. But the best part is the next gen of supplementation is already here: Natural Metabolics can be found at Strong Supplement Shop. Sergeant Steel, which can help stimulate testosterone production and lean mass gain, has been available for just over a year, already hitting the Top 10 in a prior category. 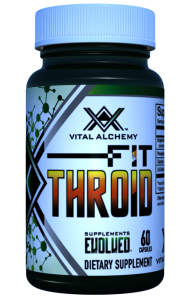 Likewise, Corti Combat and Fit Throid hit the shelves over the last few months to unprecedented debuts, working in conjunction with the endocrine system to aid in fat loss reduction when it seems the last few stubborn pounds won't come off. With the continued breakthroughs and new discoveries taking place, Natural Metabolics is definitely a category to keep an eye on in 2018. Make sure you subscribe to updates on product developments and upcoming releases to be the first to know when new products are on the way.